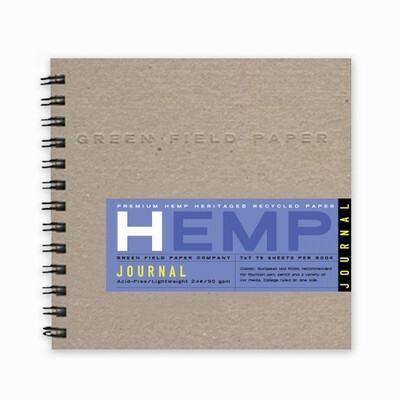 This medium book measures 7" x 7" and features 60 pages of 60# (90 gsm) Hemp Heritage® paper. The front of each page is college ruled for writing, while the back side is left blank for sketching and doodling. Ideal for pastel, charcoal, pencil and even light wash. Status: Now College Ruled with Soy Inks!